High, Lean Country: Land, People and Memory in New England, Alan Atkinson, J.S. Ryan, Iain Davidson and Andrew Piper (eds), Sydney, Allen and Unwin, 2006. Tales from New England, by J.S. Ryan, Sydney, Woodbine Press and HFRC, 2008. 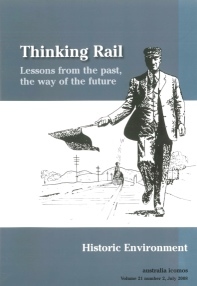 'Thinking Rail: Lessons from the past, the way of the future', Special Volume of Historic Environment (Australia Icomos), Vol. 21, No. 2, July 2008. 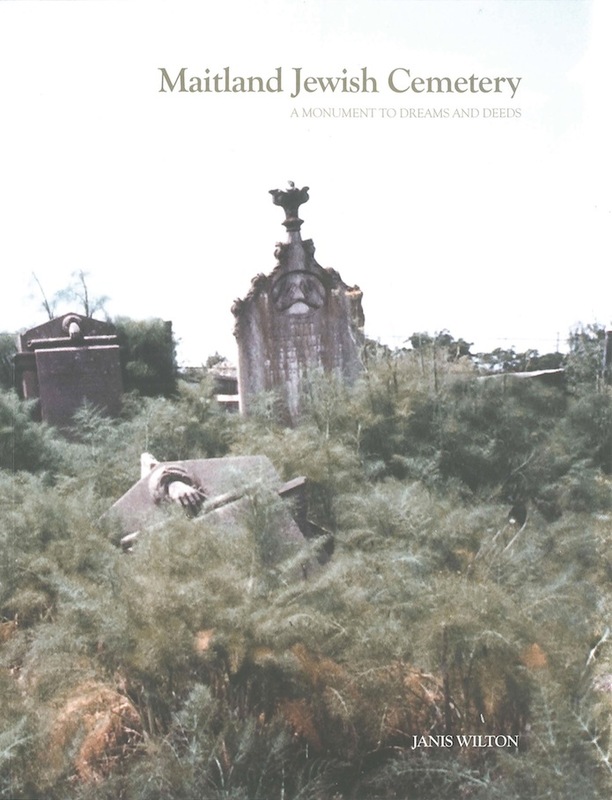 Janis Wilton, Maitland Jewish Cemetery: A Monument to Dreams and Deeds, Maitland, Maitland Regional Art Gallery, 2010. 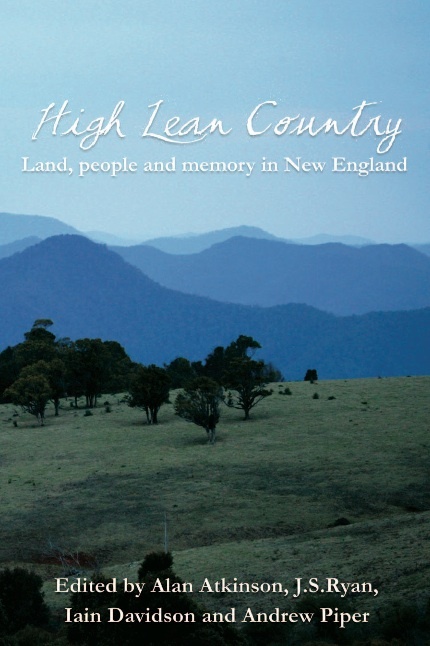 High Lean Country: Land People and Memory in New England was the first book from the University of New England's Heritage Futures Research Centre. Thirty-six contributors produced a volume that explores the quintessence of this distinctive high country, capturing its rich and haunting identity, as it has shaped their own and many other lives. The authors treat various fields, including natural history, human settlement, later social and economic history, politics and literature. They consider the region's fine arts and even its appeal to filmmakers. They offer a distillation of its physical nature, history, climate and culture. High Lean Country questions the part that memory - memory of land, of family, of earlier patterns of life - has played in regional self-understanding. It considers the way the land has shaped its people, their ideas about themselves, their way of life and their memories. In doing so, it sets a new direction in understanding Australia as a whole. This is a book which Judith Wright would have savoured. It is, in the spirit of her poetry, 'full of old stories' that the writers would share with you. It will also bring you a new appreciation of one of the most distinctive regions in Australia. This book is a collection of essays that gives a New England context to aspects of the lives and works of several famous authors. The book focuses on nine important writers, including Rolf Boldrewood (author of Robbery Under Arms) and D'Arcy Niland (author of The Shiralee), who have enriched their novels with imaginative recreations of New England society and landscapes. Other authors and novels considered include Thomas Keneally's The Chant of Jimmy Blacksmith, Dymphna Cusack's Picnic Races, Gwen Kelly (in various reflective works), Geoff Page's Benton's Conviction, David Crookes' The Light Horseman's Daughter), Robert Barnard's Death of an Old Goat and Cry from the Dark, and Gabrielle Lord's Bones. The 68 illustrations in Tales From New England include many rare photographs, as well as reproductions of original or early dust covers to remind readers of the books they knew they should read one day. Tales From New England provides a witty, wry and compassionate guide to such reading. Special Volume of Historic Environment (Australia Icomos), Vol. 21, No. 2, July 2008. This volume contains nine papers from the National Railway Heritage Conference held at Tamworth (NSW) between 28-30 September 2005, organised by the Heritage Futures Research Centre to mark the sesquicentenary of railways in NSW. The volume focusses attention on the history and heritage of our railways, suggesting that railways can, in the future as in the past, be a vital part of Australia's overall economic and social development. Contributors include Lucy Taksa (University of NSW), Peter Berriman (President of the NSW Rail Transport Museum), David Morgan (President of the European Federation of Museum and Transport Railways), and Colin Divall (Professor of Railway Studies, University of York). The volume was edited and introduced by HFRC's Andrew Piper and Robert Haworth. Published by Maitland Regional Art Gallery with funding and support from the Heritage Futures Research Centre (UNE), the Migration Heritage Centre and the Powerhouse Museum. This book explores the history of the Maitland Jewish Cemetery and the stories of the people buried there, highlighting the challenges of being Jewish in a colonial frontier town and the significant contributions made by Jewish settlers to the social and economic development of the Maitland region.